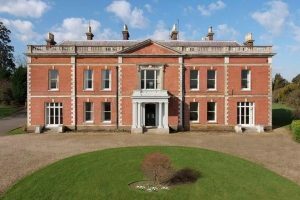 1) (Nash Court, co. Kent; the co-heirs of Thomas Hawkins, Esq., of Nash Court, d. 1800, were 1st, Bridget, m. Lord Teynham; 2nd, Mary, m. Sir Edward Knatchbull, Bart. ; 3rd, Anne, m. Lieut.-Colonel Woodroffe, of Poyle Park, co. Surrey; 4th, Eleanor, m. Henry Goold, brother of Sir George Goold, 2nd bart. Colonel Woodroffe left an only dau. and heiress, Mary Theresa, m. Francis Harold Duncombe, of H.M. 74th regt.). Ar. on a saltire sa. five fleurs-de-lis or, quartering, az. a chev. betw. three demi lions ramp. or, for Hames. Crest—On a mount vert a hind lodged or.—“In Edward the Third’s reign,” says Barnes, “when the French King, John, was a prisoner in England, the King of Navarre declared war against the kingdom of France, and collected men-at-arms from all parts, for he paid them largely out of the treasures he had amassed. The Navarrois took the towns and castles of Creil-upon-Oise, Herielle, and Mauconseil; after the taking of the Castle of Mauconseil, it was garrisoned with three hundred men, under the command of Rasigois, of Derry, an Irishman; Franklin and Hawkins, two squires of England, A.D. 1358.” The origin of the arms is derived, most likely, from this expedition, the saltire being used as a scaling ladder, and the fleurs-de-lis being on the standard of France, which was taken from the castle of Mauconseil. 2) (The Gaer, co. Monmouth, and Tredunnock, same co.). Ar. on a saltire sa. five fleurs-de-lis or. Crest—On a mount vert a hind lodged or. Motto—Toujours pret. 3) (Kelston, co. Somerset, bart.). Ar. on a saltire engr. sa. five fleurs-de-lis or. Crest—On a mount vert a hind lodged or. Motto—Pro Deo et rege. 4) (Trewithan, co. Cornwall, bart., extinct 1829). Per saltire or and ar. on a saltire sa. five fleurs-de-lis of the first, a bordure gobony or and of the third. Crest—A cubit arm erect vested ar. charged with two fleurs-de-lis in pale az. holding in the hand ppr. a baton or, tipped sa. 5) (Pennans, co. Cornwall). Per pale ar. and or, on a saltire sa. a lozenge charged with a fleur-de-lis gu. betw. four others or. 6) (Plymouth; borne by Sir John Hawkins, the naval commander, temp. 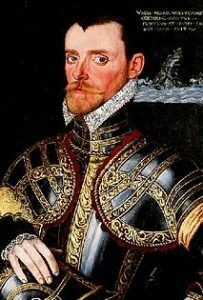 Queen Elizabeth; granted by Harvey, Clarenceux, anno 8 Elizabeth, 1565: Sir John Hawkins was b. in 1520, the son of William Hawkins, Esq., of Plymouth, and grandson of John Hawkins, Esq., of Tavistock). 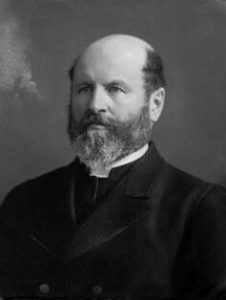 (Thomas Hawkins, Esq., of Sharpham Park, co. Somerset, great-great-grandson of the Rev. 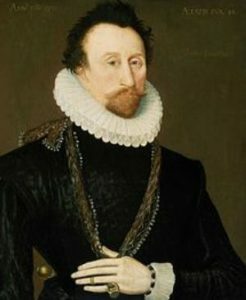 Nathaniel Hawkins, Vicar of Ashill, who is presumed to have been of the family of the great naval commander, Sir John Hawkins). (Norton, co. Devon; descended from the family of Sir John Hawkins, the navigator). Sa. on a point wavy a lion pass. or, in chief three bezants: in 1571 an addition was granted by Cook, Clarenceux, viz., on a canton or, an escallop betw. two palmers’ staves sa. Crest (granted with the first of these coats, in token of a remarkable victory over the Moors)—A demi Moor ppr. bound and captive, with annulets on his arms and ears or. 7) (Lewell, co. Dorset). Sa. on the waves of the sea ppr. a lion pass. or, in chief three bezants. Crest—A demi naked man ppr. wreathed about the temples ar. and az. the hands extended and manacled at each arm, with a rope passing behind his back all also ppr. 8) (co. Devon). Az. a chev. erm. betw. three oak slips or. 9) (co. Kent). Sa. a lion pass. or, in chief three bezants. 10) (co. Gloucester, and Sherington, co. Hereford). Or, on a chev. betw. three cinquefoils az. as many escallops ar. on a chief per pale gu. and sa. a griffin pass. erm. Crest—A falcon’s head chequy ar. and sa. beaked or, betw. two wings expanded gu. 11) (co. Berks). Or, on a chev. betw. three cinquefoils az. as many escallops ar. on a chief gu. a griffin pass, of the field. Crest—A demi eagle ar. 12) Per pale or and az. a chev. betw. three lions ramp. counterchanged. 13) (Marsham, co. Berks). Or, on a chev. betw. three cinquefoils az. as many escallops ar. on a chief gu. a griffin pass, of the third. 14) (monument of Isaac Hawkins and Ann, his wife, d. 1727, in church of Burton-upon-Trent). Or, on a chev. gu. betw. three cinquefoils sa. three escallops ar. on a chief of the second a greyhound courant of the last, impaling Watson, barry of six ar. and gu. three crescents, two and one, erm. on a chief of the second two lances in saltire, tho heads broken off or. 15) (alias Edge). (co. Salop). Ar. a hawk ppr. beaked and legged or, standing on a staff couped and raguled vert. 16) (alias Fisher). (Hawkesnest, co. Warwick). Gu. a fesse vair betw. two falcons volant in chief and a dolphin embowed in base ar. a bordure engr. of the last. Crest—A dexter arm couped at the shoulder fesseways and erect from the elbow, habited vair, in the hand ppr. a falcon perched ar. beaked, legged, and belled or. 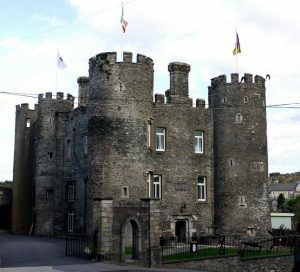 17) (Enniscorthy Castle, co. Wexford; granted to Anthony Hawkins, Esq., of that place). Per chev. ar. and vert a trefoil counterchanged betw. three hinds trippant ppr. a bordure gu. Crest—A falcon, wings addorsed gu. charged on the breast with a trefoil slipped or, and standing on a lure az. stringed gold. 18) (Fun. Ent. 1680, Alderman William Hawkins, of Dublin). Per chev. ar. and vert three hinds trippant ppr. 19) (Rathfriland, co. Down, descended from Alderman William Hawkins; of this family were John Hawkins, Ulster King of Arms, and his sons, James Hawkins, Bishop of Raphoe, and Sir William Hawkins, also Ulster). Same Arms. Crest—A falcon ppr. rising, belled or, perched on a lure gold. Motto—Providence with adventure. 20) (impalement Fun. Ent. Ulster’s Office, 1669). Ar. on a saltire sa. five fleurs-de-lis or. The surname Hawkin, Hawking, Hawkins, Hawkings, Hawkes, or Hawks is a baptismal name meaning “son of Henry” or “son of Harry”. It is the diminutive of Hal or Haw. Others derive this old Anglo-Saxon last name from the Old English personal name Hafoc or Havec. Still others derive the name from the Irish Haughan or O’Haugan that came into England with the migration of Irish people in the Civil War during the 1500’s AD. Some believe it comes from the work “hawking”, which is similar to falconry, the art of hunting with a trained bird of prey. The Hawkinses of The Gaer, in county Monmouth, and those of Cantlowes, county of Middlesex, claim a local origin from the parish of Hawking, near Folkestone, in Kent, of which Osbert de Hawking was possessor during the reign of Henry II. The family removed to Nash Court in the parish of Boughtonunder-Bleane in the same county, and remained there until the year 1800. Early notables include Henricus Hawkynne and Johannes Haukyn was recorded in the Poll Tax of 1379 AD in Yorkshire. A Roger Havech was recorded in the Pipe Rolls of Kent in 1176 AD. Roger Havekin was recorded in the Essex Rolls of 1298 AD. Early immigrants in America bearing this surname include Job Hawkins, who left the port of London on a ship named the Planter in April of 1635 that sailed to New England. A one Clement Hawkins left the port of London in May of 1635 and sailed to the Barbadoes in a ship named the Alexander. In June 1635, George Hawkins left the Port of London and sailed to Virginia. An Abraham Hawkins, who died in 1648, was recorded in Charleston. Anthony Hawkins, of Windsor, had three children: Ruth (1649) and John (1652), who later had a second wife, Ann Thompson, the daughter of Governor Thomas Wells, and had the following children with her: Sarah (1657), Elizabeth (1660), and Hannah (1662). A Gamaliel Hawkins was recorded as a mariner in Salem, MA in 1688. A George Hawkins was reocorded as a shipwright in Boston, MA in 1644. James Hawkins of Boston was recorded in 1635 and with his wife Mary had children James (1652), James (1654), Mary, Ruth, Damaris, Elizabeth, Susan, and Sarah. A John Hawkins was recorded in Boston in 1639 and another John Hawkins was recorded in Boston in 1654, who married Sarah, the daughter of Humphrey Damarill. Another recorded Bostonian was Richard Hawkins, in 1637, who had wife Jane who was suspected of witchcraft. He later settled in Portsmouth, Rhode Island. Another Richard Hawkins came to Portsmouth, Rhode Island in the ship named the Susan and Ellen from London in 1635. Robert Hawkins, of Charlestown, came to American in a ship named the Elizabrth and Ann in 1635 at the age of 25 and married Mary, and had children Eleazer (1636), Zachary (1639), and Joseph (1642). Other American Notables include Thomas Hawkins of Boston, a shipwright of London, who then lived im Dorechester, but had a grant of lot in 1636 at Charleston. He had four children: Hannah, Elizabeth, Sarah, Mary, and Abigail. Also, a one William Hawkins was recorded in New Haven, Connecticutt in 1656. Lastly, a Timothy Hawkins lived in Watertown in 1635 and wife his wife Hannah had the following children: Hannah (1637), Timothy (1639), and Mehitable. Other Hawkins arrived in Virginia: Abra (1700), Eliza (1701), and John, Robert, and Susannah (1714). A one James Hawkins arrived in New York in 1812. Bernard Burke’s book Peerage, Baronetage, and Knightage discusses this surname in some detail. It mentions Sit Williers Geoffrey Caesar, born 1890, the sixth baronet, of Kelson and Somertset, who was a Captain in the Royal Air Force during World War I, succeeded his cousin in 1939, and had two children: Humphry Villiers Caesar (1923) and Joy Blanche (who married John Stobart Longworth in 1944). It also traces the lineage back to Colonel Caesar Hawkins (born 1593) who commanded a regiment in the service of King Charles I and was Governor of Greenland House, county Buckingham, which he defended in 1664 against the forces of Lord Essex. He married Priscilla Wakelin and had one son named Caesar. Another notable mentioned is Sir Caesar Hawkins Kawinks, the first Baronet, of Kelston (born 1711), the serjeant-surgeon to King George III, who married Sarah Coxe and had three children: John, Caesar, and George. Family mottoes for Hawkins include Alienus ambition, which means “Averse to ambition”, Nil oequo plus, meaning “Nothing more than my due”, Nil desperandum, meaning “Never despair”, Proesto et presto, meaning “Ready and ready” or “I undertake and I perform”, Providence with adventure, Tourjours pret, which means “Always ready”.